It has recently been reported that, in 2013, worldwide sales of Prosecco were for the first time greater than those of Champagne (307 million vs 304 million bottles, respectively – thank you Franklin Liquors for sharing the link to this piece of news). In spite of such a commercial achievement, if you have been following this blog for a while, you may recall that generally speaking I am not a big fan of Prosecco, with very few exceptions. I just like the extra complexity and structure that is typical of a Classic Method sparkling wine (like Champagne or Franciacorta, for instance) over the simpler, fruitier profile of a Charmat-Martinotti Method sparkler (like Prosecco). If you are not familiar with the two methods, please refer to my previous posts on the Classic Method and on the Charmat-Martinotti Method. Having said that, I am always happy to try and taste new Prosecco’s to hopefully add new… “exceptions” to my list. So I was excited when representatives of Italian Prosecco producer Montelvini were kind enough to have a couple samples of their premium Prosecco (Montelvini, Prosecco di Asolo Superiore Millesimato Extra Dry “Venegazzù” DOCG NV – $15) delivered to me so I could taste it and possibly review it. Now, let’s see how it was. Overall, I quite liked this Prosecco (despite being slightly irked by its label) and I appreciated its fine perlage, considering that the Charmat-Martinotti Method generally results in bigger bubbles. It is a nice, easy to drink sparkler with an appealing quality-to-price ratio: it has pleasant mouth flavors and mineral hints that make up for its not very complex or intense aromas. It definitely has its place as a Spring-y/Summer-y “cool but not intimidating” 😉 aperitivo. 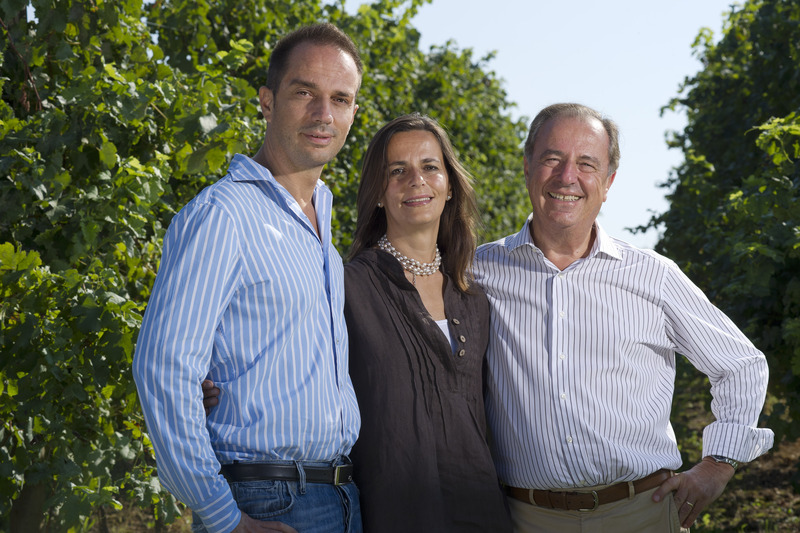 The Serena family, who owns Montelvini, has been in the wine making business for 130 years in the hilly area surrounding the town of Asolo in Italy’s Veneto region. Nowadays, they manage 35 HA of vineyards in four different estates, with Glera, Merlot and Cabernet Sauvignon being the most cultivated grapes, accounting in the aggregate for 85% of the total vines, with an average density of 4,500 vines/HA. The annual production is 3 million bottles, 20% of which are exported to 36 countries. The Montelvini winery accommodates 48 temperature-controlled autoclaves dedicated to the production of Charmat-Martinotti Prosecco sparkling wines. The wine we are going to review today is Montelvini, Prosecco di Asolo Superiore Millesimato Extra Dry “Venegazzù” DOCG NV, which retails in the U.S. for about $15. The wine is made from 100% Glera grapes, has 12% ABV, a pressure of 5.6 ATM and comes in the “Extra Dry” variety, with 15 gr/lt residual sugar. One thing that I did not like is the use of the word “Millesimato” on the label of the wine. In Italian that word refers to the vintage of a wine, particularly a sparkling wine, and is utilized to distinguish a vintage sparkler from a non-vintage one. However, the label of the Prosecco that we are reviewing does not contain any indication of the vintage of the wine, which makes the use of the term “Millesimato” pointless or even potentially misleading. I believe Montelvini should either keep the word “Millesimato” and include the year of the harvest (if their wine is in fact a vintage wine) or drop the use of “Millesimato” altogether if their wine is non-vintage. Anyway, let’s move on to the actual review of this Prosecco. As usual, for my review I will use a simplified version of the ISA wine tasting protocol that we described in a previous post: should you have doubts as to any of the terms used below please refer to that post for a refresher. 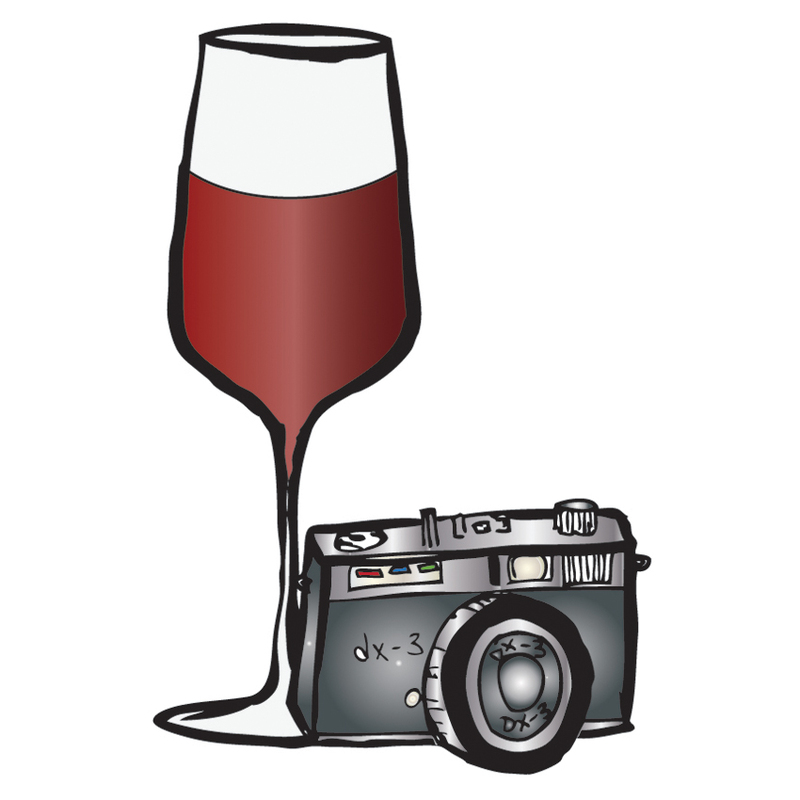 For your own structured wine tastings, consider downloading our FsT Wine Tasting Chart! In the glass, the wine was brilliant and pale straw yellow in color. Its bubbles were in the average in number, fine and long-lasting. A very nice perlage. On the nose, its bouquet was moderately intense, moderately complex and of fair quality, with aromas of apple, white blossoms and hints of tangerine. In the mouth, it was off-dry, with medium ABV and moderately smooth; it was acidic and tasty. It was medium-bodied and balanced, with intense and fine mouth flavors reminiscent of apples with hints of tangerines and minerals. It had a medium finish and its evolutionary state was mature, meaning: do not cellar, drink now to enjoy its freshness. This entry was posted in Sparkling Wines, White Wines, Wine, Wine Reviews and tagged Asolo, Charmat, Glera, Italian, Italy, Martinotti, method, Prosecco, review, sparkling, spumante, tasting, Veneto, white, wine on March 19, 2014 by Stefano. There we go, at last our series of posts on Italian spumante is coming to an end, with this last installment focusing on a few recommendations for quality Italian Method spumante wines. As we said on the second post of our series, the two most renowned Italian Method sparkling wines are Prosecco and Asti Spumante. Beside being made from different grapes (Glera for the former, Moscato Bianco for the latter), Prosecco is generally produced as a dry wine (as per the applicable specifications, it can be produced in any of the variants ranging from Brut to Demisec in terms of residual sugar), while Asti Spumante is a sweet dessert wine with over 50 gr/lt of residual sugar. 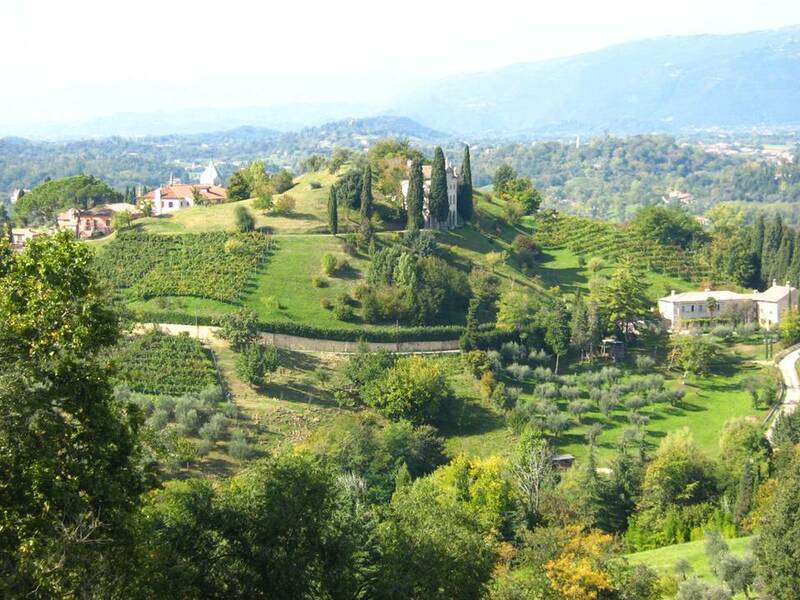 Prosecco Spumante DOC, an appellation which stretches between the regions of Veneto and Friuli. Prosecco is one of the main examples of a sparkling wine made according to the so-called Italian Method production process, although there are a few producers who also make some very good Classic Method Prosecco’s, such as Valdo‘s Prosecco Brut Metodo Classico Numero 10 DOCG (see, our full review of this outstanding Prosecco). Compared to the Classic Method, the Charmat-Martinotti Method is a quicker and cheaper production process for sparkling wine, which is known to maximize primary (or varietal) aromas although it generally sacrifices the wine structure and the finest perlage. For more detailed information, please refer to our post on the Charmat-Martinotti Method. Nino Franco, Prosecco di Valdobbiadene “Grave di Stecca” Brut (100% Glera, with scents of wild flowers, almond, apricot and citrus). Hope you have an opportunity to enjoy some of these wines and, if you do, feel free to share your opinion here. This entry was posted in Sparkling Wines, White Wines, Wine, Wine Education and tagged champenoise, Charmat, classic, Glera, Italian, Martinotti, method, Prosecco, sparkling, spumante, traditional, wine on December 30, 2012 by Stefano. Francesca’s delicate green bean, olive and goat cheese quiche can be successfully complemented with a medium-bodied white wine with good acidity and either effervescence or noticeable minerality. Based on the above, my suggestion is either a quality Prosecco or a Pecorino. Let’s quickly discuss each of these two wines and include some actual recommendations. Prosecco. Among the average consumers both in Italy and abroad, there is a lot, and I mean A LOT of misinformation about Prosecco. Let’s try to get some facts straight regarding this much talked about wine. Italy, like other countries, produces several sparkling wines which are made either according to the Classic Method (also known as “Methode Champenoise“, because it is the traditional production process of French Champagne) or according to the quicker and cheaper Italian Method (also known as “Methode Charmat” or “Metodo Martinotti“), which is known to maximize primary (or varietal) aromas although it generally sacrifices the wine structure and the finest perlage. Franciacorta DOCG and Trento DOC are examples of two Italian appellations that are reserved to Classic Method sparkling wines. Prosecco, instead, is a white wine that can be made either in the still or sparkling version: for the purposes of this quick overview, we will only focus on the sparkling wine variety, which is also the one that generally yields the best results in terms of quality. So, Prosecco sparkling wine is generally made according to the Italian Method (although there are a few exceptions, such as Valdo‘s Prosecco Brut Metodo Classico Numero 10 DOCG, which is a solid 100% Glera sparkling wine made according to the Classic Method) in the three appellations which permit production of such wine: Prosecco DOC (which encompasses a larger territory in the regions of Veneto and Friuli Venezia Giulia), Prosecco di Conegliano Valdobbiadene DOCG and Prosecco di Asolo DOCG (which both encompass a much smaller territory near the town of Treviso, Veneto). Prosecco is made from 85% or more Glera white-berried grapes, which are also known as Prosecco grapes, although nowadays Prosecco is technically a trademark for the wine, and no longer the name of the grape variety. Prosecco sparkling wine can be made available in in any of the following varieties, as far as residual sugar content is concerned: Brut, Extra Dry, Dry and Demisec. Under no circumstance, should Prosecco be confused with Asti Spumante, which is a totally independent and different sweet sparkling wine made according to the Italian Method within the homonymous DOCG appellation in the region of Piemonte, Italy, out of Moscato Bianco grapes: it simply has nothing to do with Prosecco. Hoping to have somewhat set the record straight for Prosecco, let’s move on to acknowledge a few among the best Prosecco sparkling wines that are available on the market. This is a particularly important exercise because unfortunately, due to the worldwide notoriety that Prosecco wines have recently attained, there are producers that just tried to seize the opportunity and put out there a lot of really low quality Prosecco at a very cheap price point, which is something that has been tarnishing Prosecco’s reputation in the eyes (but especially in the mouths!) of those consumers who happened to purchase any of such inferior quality labels. Among the best Prosecco’s on the market are Adami, Prosecco di Valdobbiadene Superiore Brut “Bosco di Gica” DOCG (95-97% Glera grapes/3-5% Chardonnay grapes, with aromas of wisteria, pear, apple, peach, Mirabelle plum and herbs); Bepin De Eto, Prosecco di Conegliano Valdobbiadene Superiore Brut DOCG (100% Glera grapes, with scents of rose, wisteria, apple, pear, peach, bread crust and minerals – commendable is the investment made by the owners to achieve a very good density of 4,000 vines/HA); Marsuret, Prosecco di Valdobbiadene Superiore Brut “San Boldo” DOCG (100% Glera grapes, with aromas of mint, broom, elder blossoms, apple, citrus and minerals); or Montesel, Prosecco di Conegliano Valdobbiadene Superiore “Riva dei Fiori” Brut DOCG (100% Glera grapes, with scents of elder blossoms, wisteria, pear, apple, lime and minerals). One last noteworthy mention is much deserved by the more expensive, exquisite Valdobbiadene Superiore di Cartizze DOCG by Nino Franco: a 100% Glera Italian Method Prosecco made in the finest sub-zone of the appellation (called Cartizze) and displaying fine aromas of jasmine blossoms, passion fruit, citrus, herbs and minerals. Pecorino is a wine made 85% or more from Pecorino white-berried grapes, a variety that is indigenous to the Marche region in Italy and that had almost completely been abandoned because of the limited productivity of Pecorino vines. Fortunately for us all 🙂 in the early Eighties Guido Cocci Grifoni, a winemaker in the Marche region, became aware of a minuscule vineyard owned by an old farmer which still had a few Pecorino vines, which he bought and transplanted in his own vineyard thus saving this grape variety from extinction and starting commercial production of Pecorino wine in the Nineties. If you want to know more about Pecorino grapes and their rediscovery, check out this interesting write up on Tenuta Cocci Grifoni’s Web Site (after you open the PDF file, keep scrolling as there is an Italian version first and then one in English). Remarkable Pecorino wines to definitely try out if you come across them include Tenuta Cocci Grifoni, Offida Pecorino “Colle Vecchio” DOCG (100% Pecorino grapes, with aromas of chamomile flowers, acacia and jasmine blossoms, hay, apple, caper and minerals); De Angelis, Offida Pecorino DOCG (100% Pecorino grapes, with scents of chamomile flowers, broom, hay, melon, citrus and minerals); Le Caniette, Offida Pecorino “Io sono Gaia (non sono Lucrezia)” DOCG (100% Pecorino grapes, with aromas of broom, apricot, exotic fruit, wax and minerals – to Le Caniette’s owners credit, they have invested energy and resources to achieve a very good density of 4,000 vines/HA); or Moncaro, Offida Pecorino “Ofithe” DOCG (100% Pecorino grapes, with scents of white flowers, elder blossoms, apple, citrus, almond and minerals). As usual, enjoy and please share your experience if you decide to try out any of the above wines or if you wish to suggest a different wine that you think would go well with Francesca’s green bean, olive and goat cheese quiche! This entry was posted in Wine, Wine Pairings and tagged Friuli Venezia Giulia, Glera, Italian, Marche, Pecorino, Prosecco, sparkling, spumante, Veneto, white, wine on October 29, 2012 by Stefano.